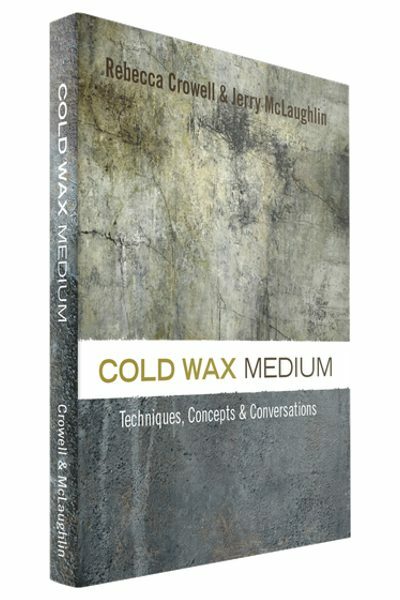 COLD WAX MEDIUM: TECHNIQUES, CONCEPTS & CONVERSATIONS by Rebecca Crowell and Jerry McLaughlin (Squeegee Press, 2017). 320pp, $42. 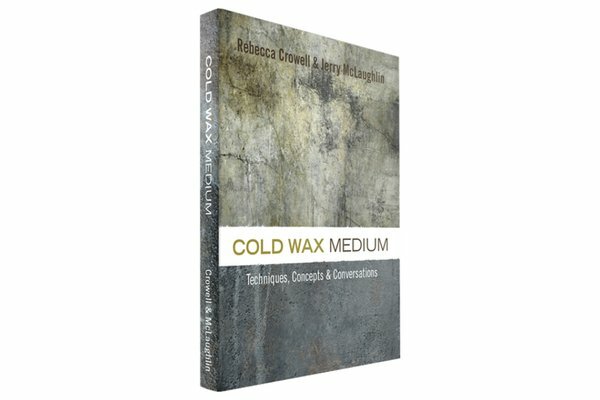 Until now, there has not been a comprehensive resource specifically dedicated to Cold Wax Medium. This beautiful and informative book is the state-of-the-art reference source that fills that void. Historians document the earliest application of wax as an artistic tool back to Ancient Greece and Egypt. It spread to Rome, weathered a decline in the Middle Ages, and enjoyed a brief revival in mid-eighteenth-century Europe and twentieth-century America. The explosion of the internet made it easier for artists to access technical information relevant to working with wax and sharing that information. Incorrectly, the word encaustic became a generic description for working with wax. 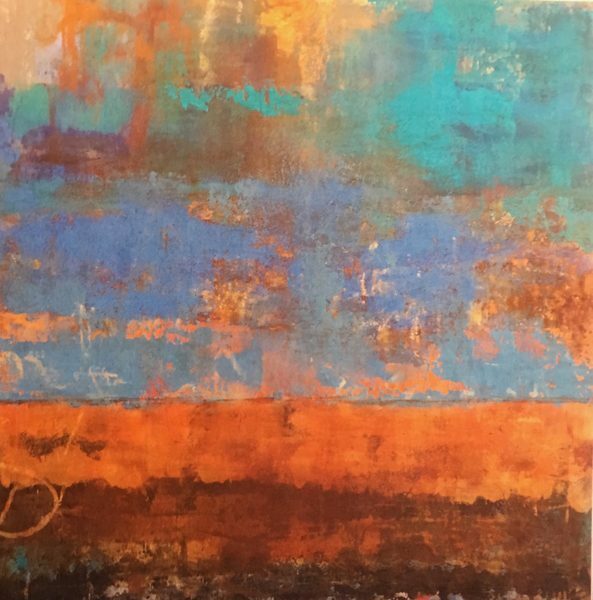 Technically, encaustic refers to any heat-based method of making art with wax. Cold Wax Medium (CWM) is a semisolid paste at room temperature and requires no heat to apply and no fusing of layers. In combination with oil paints, or tinted directly with a wide variety of pigments, it can be combined with particulates for textural applications. This medium does not make the traditional rules of working with oils obsolete, as the cover flap implies. Rather, it is yet another tool in the artist’s toolbox that can enhance luminosity, speed drying, and add body to the paint that expands the definition of painting. 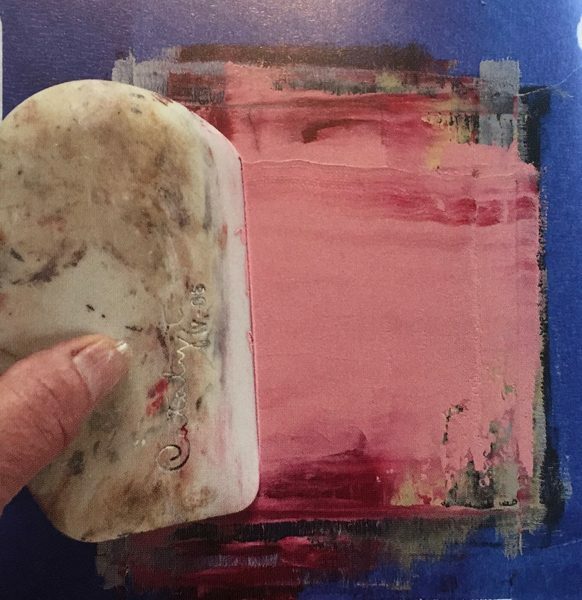 It is also relevant to collage artists, encaustic artists, print makers, and sculptors. Beyond the technical data and the how-to examples, of particular interest are the sections “The Artists and Their Work,” and “Conversations: Insights from Featured Artists,” where over forty artists working with cold wax share their techniques and insights into their creative processes. 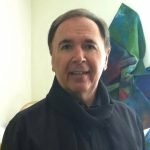 While it is true that artists do have an intimate relationship with their materials, the proof of the pudding is in the final creation that must conceptually stand alone, regardless of the technique used to get there. These sections profile how artists employ cold wax medium to achieve stunning results. 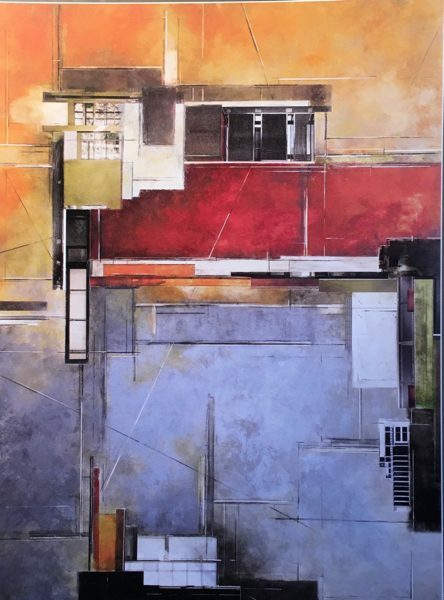 The overall book is profusely illustrated, with high-quality color images of more than one hundred artists from around the world who embrace this technique, in styles ranging from abstraction to representational. It is a must for artists interested in working with wax as well as enjoyment for the art enthusiast.